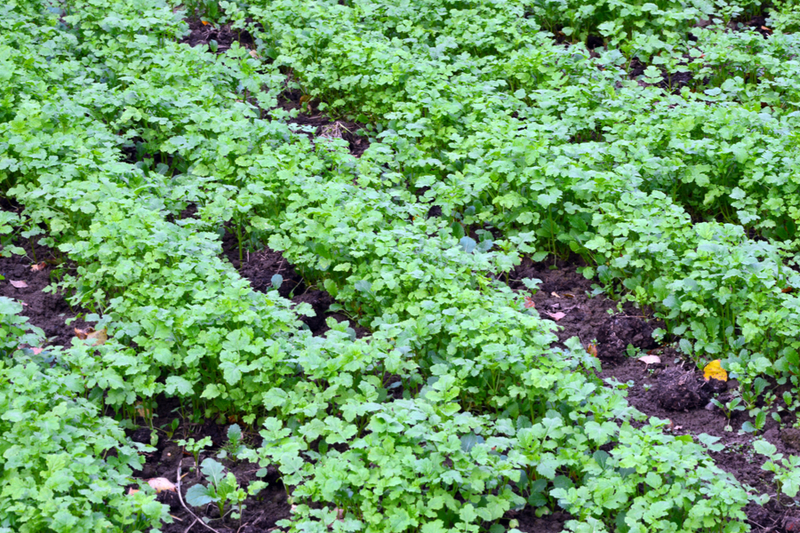 How To Plant A Green Manure Crop To Recharge Garden Soil This Spring! Nothing can recharge garden soil like a green manure crop! And springtime is a perfect time to grow one to get your soil ready for the summer garden season. When many folks here the words green manure, they might be a bit confused. Is it fresh animal waste? Is it from a cow or chicken? Perhaps a horse? Cowpea growing in a backyard garden. Cowpea is an excellent choice as a green manure cover crop. Actually, a green manure crop contains no “real” manure at all. And it certainly doesn’t come from an animal. But, like manure, it can provide a big boost of nutrients back into tired garden soil. And it can even be grown to help permanent raised beds too. What Is A Green Manure Crop? A green manure crop is grown specifically to give back nutrients to the soil. There is no harvest for the gardener. Instead, the nutrients in the crop are given back completely to the soil. Green manure crops give their nutrients back to the soil. This is most often done by tilling or turning over the crop when it is alive and growing. When turned back over, these crops die off and begin to decompose. In the process, they then release their nutrients and minerals back into the soil. In addition, as they break down, the roots and foliage of the crop add valuable organic matter to the soil structure as well. Planting a green manure crop is like adding compost directly to your soil. It is a win-win for the soil. Digging in a green manure crop is very much like adding compost directly to your soil. So what is the difference between a cover crop and a green manure crop? Well, actually, they are vary similar – with just a few slight differences. They both are planted with legumes or grain crops. Green manure crops help keep garden soil healthy and vibrant. Likewise, they are also both used to help add nutrients and organic matter to the soil. And, they both help protect the soil from erosion. The real difference is when they are planted, and for how long they are left in the soil. Then, in the spring, they are either tilled under or left to die off in place. Green manure crops, on the other hand, are usually planted in the early spring, or in the middle of a growing season. They are also grown for a much shorter length of time. And although they do protect soil from being bare while they grow, the main purpose of a green manure crop is to give back its nutrients in-season. A green manure crop can be planted in the early spring, before the summer garden is planted. This gives an excellent boost of pre-season nutrients to the soil. It can also be used in between crop cycles. For example, a green manure crop can be grown between the harvest of a spring crop, and the planting of a fall crop. It is an excellent way to rebuild and replace nutrients lost between plantings. Alfalfa, annual rye, buckwheat and cowpea are great choices to plant as a green manure crop. They germinate fast, and grow quickly. Both very important and necessary traits when a quick turnaround is needed. In most areas, there is ample time to plant a spring green manure crop before the main garden season begins. As soon as the soil begins to thaw, rake the surface and sow your seed of choice. They both can tolerate cooler temperatures. In addition, they germinate quickly, and begin to grow in as little as 7 to 10 days. Allow to grow until a few weeks before you are ready to plant your main vegetable garden. Then, simply turn the cover crop under. This, in turn, gives the crop’s nutrients back to the soil. Turning over can be done with a spade, or in large gardens with a tiller. The crops will then begin to decompose under the soil. For in-season green manure crops, buckwheat and cowpea can be used in addition to cereal rye and alfalfa. They grow fast as well, but do not work well in the early colder climates. Here is a quick run-down on green manure crop varieties. Alfalfa is one of the best green manure crops around. It germinates fast, and provides a thick covering of the soil. It also tolerates cooler temps, making it perfect for colder climates. Buckwheat growing in a field. Alfalfa grows well in almost any soil. It even grows well in poor soils and is highly drought tolerant. Avoid planting in overly wet conditions. Never allow alfalfa to flower. If the crop grows too big, simply mow down to keep seed heads from forming. Cereal rye grows well as a green manure crop in colder climates. The seed is not affected by frost. This bright green cover crop begins to grow as soon as temperatures allow. Cover crops can be grown and dug under in raised beds too. Simply till or dig in two weeks before planting your regular vegetable garden crops. Buckwheat and cowpea are both excellent selections for warmer climates and spring temperatures. They are perfect for in-season green manure crops. Both are both highly both heat and drought tolerant. Unfortunately, they are equally intolerant of cold temps. For this reason, they should not be planted in areas where spring frost is a possibility. This Is My Garden is a garden website created by gardeners, for gardeners. We publish two articles every week, 52 weeks a year. Sign up today to follow via email, or follow along on Facebook. Growing Strawberries – How To Grow Your Own Strawberries! Fertilizing Naturally – 7 Great Ways To Boost Vegetables And Flowers! April 4, 2018 ThisIsMyGarden Comments Off on Fertilizing Naturally – 7 Great Ways To Boost Vegetables And Flowers!